Professional LCD display IDIS-550 with big LED screen of 55 inches is a commercial monitor with built-in ad player in a designer metal housing with glass. 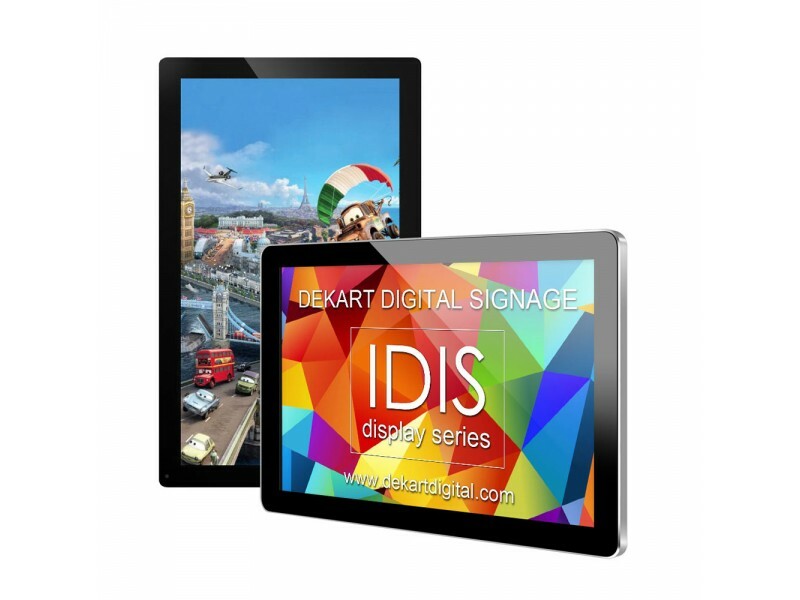 IDIS plays full-screen presentations, videos, graphic files, music MP3. Digital display is a reliable and versatile device, as it allows you to display dynamic content both in the vertical and horizontal placement. Showing media files starts when IDIS-550 is connected to power, movies play in continuous and auto-repeat mode. 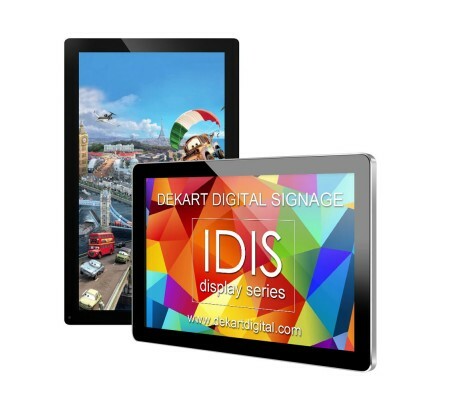 Digital digital signage display IDIS-550 displays advertisements and informational messages continuously, around the clock, without shutting down and restarting. Thanks to built-in digital signage advertising player and loud speakers that helps information to reach audiences not only through images but also through sound. Two speakers 16 watts each will complement the image that is displayed on a digital LCD sign IDIS-550, and will have a much greater influence on the target audience than just a picture. This digital digital signage display displays video from SD flash card or USB flash that is installed in a hidden door with lock. Optionally advertising display is equipped with Internet access via LAN cable, WIFI, 3G, or LTE. This function is called Digital Signage, and allows you to play media that is loaded on the installed flash memory via the Internet using the built-in professional network advertising player.